Cecelia married Charles E. Harkness in 1974 and to this union, one child Charles Jaman Harkness was born. The family settled in Oakwood Village and Cecelia was active in the lives of her son and many young people in the neighborhood. Cecelia served in many capacities including as a Sunday School teacher, Boy Scout Den Mother, private tutor and Safety Town Director. Even after divorce, Cecelia continued to manage the day to day responsibilities of a mother while maintaining significant presence in the life of her school, church, family and community. Cecelia was an educator. She spent her entire professional career as a public school teacher in the Bedford City Schools, retiring from her position as a fifth-grade teacher at Carylwood Intermediate School. Her brother recalls an instance in which he interviewed a child during a judicial proceeding. When the child said she was in the fifth grade at Carylwood, he asked the child, “Do you know my sister, Mrs. Harkness?” The child responded, “Uhg! She teaches math!” This is evidence that her generally meek nature did not preclude her from engaging in the necessary tactics of tough love to see that each student reached their potential. Dedicated to her craft, Cecelia was known to spend many, many hours in the building after school grading papers and preparing lessons. It was not uncommon for her to purchase supplies for her classroom out of her own money. Her commitment to the profession also stretched beyond the classroom as an active member of the National Sorority of Phi Delta Kappa. Cecelia, who had the family nickname “Cedie,” was known to her family as an outstanding cook, and gracious hostess. One of the Tanner and Harkness family traditions was to have dinner at Cedie’s home every year on New Year’s Day, a tradition her son has now expanded and taken over. On many occasions her nephews would spend the night at “Aunt Cedie’s house,” where they would enjoy playing with their cousin (her son) “Jamie.” She also adopted the tradition of her father as she would purchase a puzzle to complete over the holidays with her son and daughter in law. In later years, Cecelia moved from being gracious host to being the desired guest her grandchildren on Christmas Eve and the tradition of her opening gifts with them on Christmas morning was born. 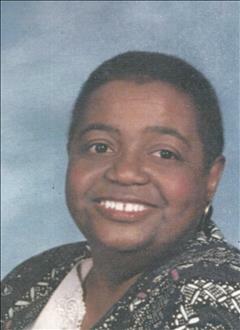 Cecelia was a quiet and reserved woman of God, serving Mount Zion of Oakwood Village for over 40 years. At one time she was the church clerk, and would routinely attend to the arduous task of logging the membership and baptism records of each member on 3” x 5” index cards using a typewriter. She loved singing in the choir and served at one time as the tenor section leader of the Mt. Zion Mass Choir. Tenors who failed to master their lyrics and/or notes knew well her ability to simultaneously demonstrate the love of Christ and the rebuke of a section leader. Cecelia was translated from labor to reward early in the morning on March 16, 2019. She was preceded in death by her sister Sharyl Felice Tanner Harvey, her father James Roland Tanner, Sr., and her mother Alma Winifred (Marchant) Tanner. She is survived by her son Charles Jaman “CJ” Harkness (Chanté); her granddaughter Cydney Aleyah Harkness; her grandson Caleb Jaman Harkness; her brother James Roland Tanner, Jr.; her sister Cynthia Eileen Tanner Clark (Sam); and a host of nieces, nephews, cousins, other relatives and many friends.